While more and more products pile into warehouses around the country, interior space comes at a premium. The result? Boxes piled to the rafters and aisles rapidly shrinking in size. Fortunately for a major tractor manufacturer, we supplied them with custom four-wheel, auto-steer carts that thrive in their crowded warehouses. Unlike conventional carts, these easily move about with synchronized front and rear wheels. When the front wheels turn left, the back wheels turn right. So no matter what hazards line an aisle, the operator can maneuver around them without wrecking any precious cargo, or even worse – a person. They’re also more stable because the wheels stay under the corners during turns, hence the name "auto-steer." Not only are they built for maneuverability and stability, they’re designed for massive hauls – two tons to be exact. They also pack 16”-diameter, dual-pneumatic tires with 1-1/4 precision-tapered bearings at each corner. The loop-type tongue and the pintle hitch at the rear allow the carts to tow multiple trailers simultaneously. Next time you try to move two-ton tractor around a packed warehouse, give Hamilton Caster a call. Dip These Wheels in Acid. We Dare You. • Cast nylon offers superior impact strength and resilience compared to standard injection-molded nylon wheels. • They’re well suited for corrosive and sanitary environments. • Our Nylast® material allows the wheels to handle heavier loads while maintaining impact resistance. • They’re designed to run in frigid or molten temperatures: -30° to 220°. • They look strikingly similar to hockey pucks. Find out how they stack up to their frozen-projectile counterparts. • They’re available in five standard sizes from 4” x 2” to 8” x 3” and all of the 2” and 3” forged steel casters. • Their tremendous load-bearing capacity makes them a perfect match for Maxi-Duty casters. 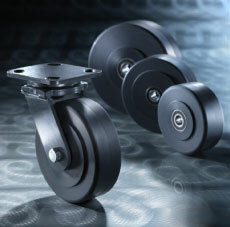 Look for an upcoming announcement of Nylast® single and double-flanged track wheels. Check out our website for more information. Have your feet recovered from MODEX in Atlanta yet? We're slowly getting there, but the short-term pain was worth it. It was an absolute blast meeting distributors from California to New York. We caught up familiar faces and new ones at our booth. Guests were excited to see our re-designed layout that allows us to finally showcase casters in upright positions like they're rolling. Thanks to everyone who stopped by. It was great to hear your stories about our carts and casters in the field, and we're really pumped about what this year has in store for us. 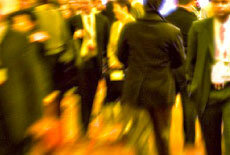 Next year the MHIA international expo, ProMat 2013, will be held in January in Chicago. We’ll see you there. The Big Number: 13 Beer Kegs. 1 Cart. Gulp. Next time you guzzle a cold one at the ball game, give Hamilton Caster a nod. 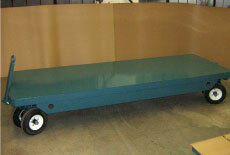 One of our carts is probably responsible for quenching your thirst, like this 2000-lb. capacity rig tasked with hauling beer to concession booths at a stadium. A southwest distributor ordered up 64 of these custom carts that can haul 13 kegs apiece. At about 170 lbs. each, they’re a bit too hefty for just one person. 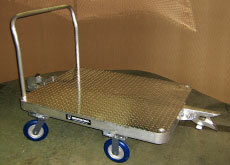 But on this custom cart, they glide and easily maneuver in tight spaces like freight elevators – or around drunken fans. • This 36” x 48” model has a deck of 1/8” diamond-tread aluminum welded over a frame of aluminum channel. • Four internal handle sockets create a smooth exterior to allow it to maneuver in close quarters. • Model CP00030/40 couplers are bolted at each end of the trailer. • Two each S/R-WH-82AYB swivel and rigid casters are equipped with 8" x 2" poly-on-aluminum wheels with precision ball bearings. 1. Only sell what you believe in. If you’re not confident in what you’re selling, uncertainly will permeate from your spiel. When you’re convinced, your customers will be too. 2. Ditch the jargon. The simpler the better. Confused clients don’t usually say yes, so make your pitches as quickly and clearly as possible. 3. Study your clients. Want to blow your customers away? Hit them with research you’ve done about their company and business. It makes all the difference when you know your clients’ exact needs. 4. Know when to say “I don’t know.” If your customer hits you with a tough question and you’re not prepared, don’t guess. It’s hard to recover from a blunder like this. Honesty is key. 5. There’s always room for improvement. The landscape of sales has changed drastically over the last 20 years. 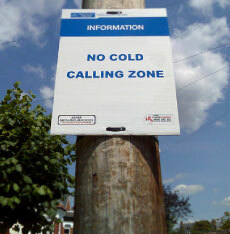 What worked in 1995 (we’re looking at you, cold calling), is dead today. Keep adapting to new tactics and never stop learning. For more sales tips, check out the story from Tom Szaky of TerraCycle. Have your own tips you’d like to share? We’d love to hear from you. 6. Fairchild Electronics and Honeywell Computers will become: Farewell Honeychild. 9. Victoria’s Secret and Smith & Wesson will merge under the new name: TittyTittyBangBang.